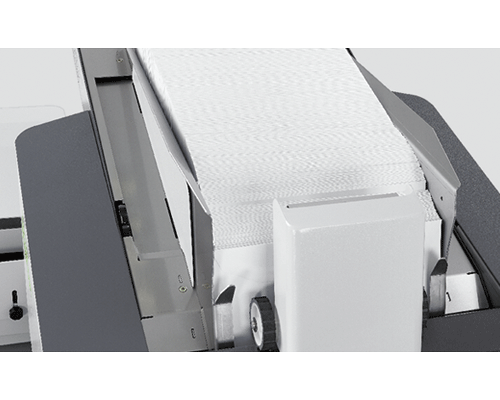 The top-loading envelope hopper holds up to 800 #10 envelopes or 500 flats, in landscape orientation. Inserting into landscape flats offers higher processing speeds, fewer jams, and lower envelope costs. 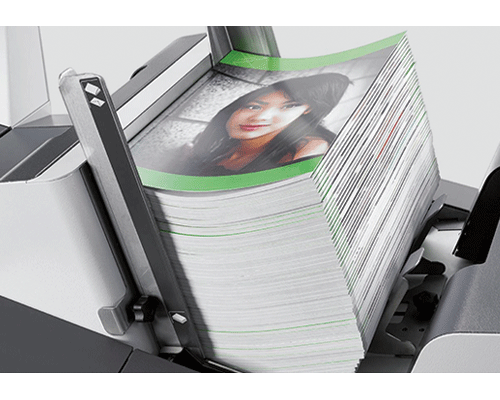 The 7500 Series inserts sets of up to 72 pages, up to 10mm thick. Standard features include a high-capacity 4-foot outfeed conveyor, which can be used in-line or at a 90° angle, an accumulator/divert deck which holds up to 300 sheets, and custom cabinets for sturdy, movable storage. All configurations include a Tower Feeder, which uses twin scanners to read codes either face-up or face-down. The 7500 Series has the ability to read 1 and 2-track OMR, 1D barcodes, and 2D Data Matrix, with codes located anywhere on the page. In addition, infrared and electromechanical double document detectors ensure the correct documents get into each envelope. Optional high-capacity feeders are available with or without intelligence, and can insert various media, including glossy booklets, DVDs and small inserts up to 6mm thick. 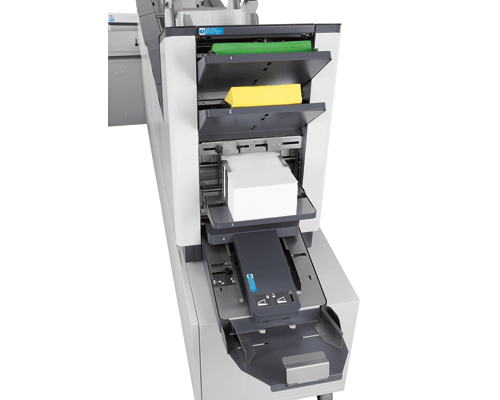 The 7500 is the most flexible and robust folder inserter on the market. Please call us to explore its many possibilities.